Scheduling 675 active volunteers serving at 5 weekly services is no small task. 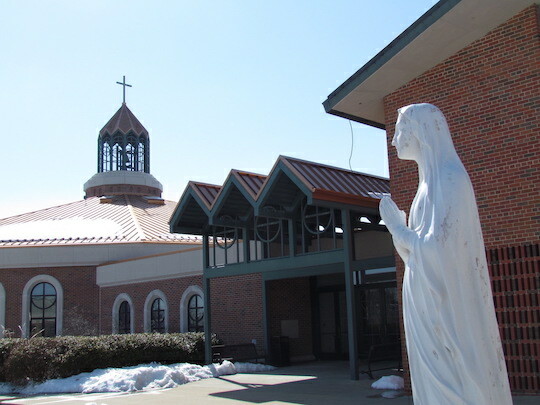 However, since 2012, Paul Fell, Directory of Liturgy and Music at Our Lady of Lourdes Catholic Church has accomplished all of this and more with the help of Ministry Scheduler Pro. Paul schedules a total of seven ministries in MSP. Most of the positions require training, which means that Paul and the volunteers need a quick and easy way to keep track of their ministry training requirements and deadlines. In the Children’s Liturgy Ministry, for example, volunteers must complete a child protection training. Since volunteers have different training requirements, the communication required to keep all volunteers informed could easily become overwhelming. To further streamline the process, Paul linked training dates to the MSP Web Terminal “Home” tab. “Letting volunteers see their training renewal dates alongside upcoming training dates, times, and locations makes it really convenient,” Paul explained. Since 2012, Paul has transformed his church’s use of MSP from a scheduling tool capable of meeting his volunteers complex preferences and availability to an invaluable communication tool that makes it easy for volunteers to stay informed of training requirements. Paul has shown that ministry scheduling isn’t just about ensuring volunteers show up, but it’s also about clearly communicating training needs and opportunities.